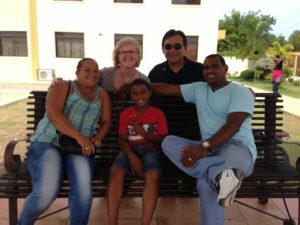 Sponsored family visit to the Dominican Republic with Children International. Teddi is SoLVE’s Co-Founder and President. Prior to starting SoLVE, Teddi was Co-Owner and President of a marketing and retail events company in Overland Park. The business grew during her time there because she came to deeply understand the needs and challenges of local and regional business owners. She identified a need for a new kind of consulting firm in Kansas City. So she created SoLVE. Teddi’s career began working on Capitol Hill in Washington DC. She also worked in National Affairs for Hallmark Cards and that brought her to Kansas City. She spent time working in various marketing roles including product development, licensing, product innovation, customer strategy, channel development, integrated marketing, advertising and promotions. She led strategic alliances with companies like Apple, Target, Sony Music, Starbuck’s and (RED). Teddi’s commitment to community service is extensive. She Co-Founded the National Race for the Cure in Washington DC and also Co-Founded and Co-Chaired the Kansas City Race for the Cure. 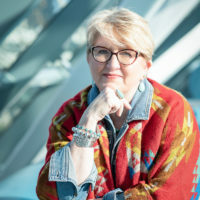 She has served on the many boards including Camp Encourage, Kansas City Komen Foundation, Blue Valley Special Olympics and Children International. She is currently a board member for LakeMary, she is a local Propel Leader and she is involved in many other non-profits in the community. She spends time with her family working behind the scenes for many local non-profits. Her community of friends have helped her pull of many “Teddi Projects” like a Thanksgiving meal delivery for 50 needy families. She and her family have four sponsored children through Children International who they consider to be their extended family members. Her personal dream is to one day live in a world without orphans or children living in poverty. 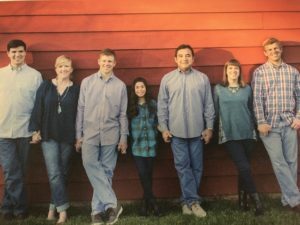 Teddi and her husband, Jim, have 5 children adopted from Poland and China who are active in high school sports and Special Olympics activities. She loves the Broncos, Royals and she relies on her faith for everything to live her life to the fullest.